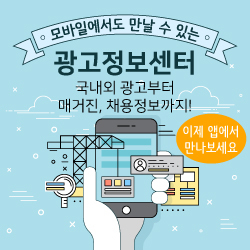 “모든 기업은 미디어 기업이다”는 슬로건으로 대변되는 ‘브랜드 저널리즘(brand journalism)’은 마케팅에 대한 대중의 불신과 혐오가 극에 달하고 미디어 환경의 변화로 기존 마케팅 효과가 의문시되는 상황에서 탄생한 기업의 자구책이다. 기업이 언론 의존도를 줄여나가면서 자체 미디어를 통해 광고와 홍보를 하겠다는 것은 언론의 생존 자체를 위협할 수 있다. 모든 기업이 미디어 기업이 되는 세상에서 언론은 어떻게 해야 살아남아 공적 기능을 수행할 수 있을 것인가? 이 질문은 사회적으로 큰 의미를 갖는 것임에도 거의 제기되지 않고 있다. 본 연구는 그런 문제의식을 갖고 언론의 관점에서 브랜드 저널리즘을 탐구하면서 브랜드 저널리즘이 강요하는 언론개혁의 전망에 대해 논한다. 제안은 네가지다. 첫째, 언론은 ‘협박식 영업’을 하지 않는 최소한의 ‘시장 논리’가 작동하게끔 해야 한다. 둘째, 언론은 대중의 불신과 혐오를 넘어서기 위해 신뢰를 회복하는 데에 모든 노력을 경주해야 한다. 셋째, 언론은 이상과 현실의 괴리를 줄여나가기 위한 솔직함을 보여야 한다. 넷째, 언론은 현재 추종하는 흥미성의 개념을 재정의해 언론 본연의 경쟁력을 찾아야 한다. 이런 요구의 수용 여부가 언론개혁은 물론 언론생존의 성패를 좌우할 것이다. Brand Journalism, which is represented by the slogan “Every company is a media company”, is a self-rescue strategy of companies formed in the situations that the public’s distrust and hatred at the marketing reaches a peak and effects of the existing marketing is doubtful because of the change of the media environment. The possibility that companies execute advertisement and public relations through their own media in accordance with reducing their reliance on press, would threaten surviving of press itself. How can press survive and perform public roles in the world where every companies become media companies? This question is rarely raised despite of its social significance. With such a question, this study explores brand journalism and discusses press reform forced by brand journalism in the perspective of press. There are four suggestions. First, press should make minimum ‘market logic’ operates without ‘intimidating sales.’ Second, press should make every effort to restore trust to overcome distrust and hatred of the public. Third, press should show their honesty to reduce the gap between ideals and reality. Fourth, press should redefine the concept of interest they currently follow to find their own competitiveness. The success of survival of the press as well as press reform depends on the acceptance of these suggestions.